The dental industry is adopting technologies like Solea to drastically improve our patients’ experience. Here’s why we added one to our office. It’s a wonderful time to be a dental patient. Technology continues to make prioritizing your oral health easier and more pleasant. Imagine 150 years ago, when anesthetics had just made their debut. A dentist named William T.G. Morton used his unique “Letheon” mixture during a surgical procedure at Massachusetts General Hospital in Boston and the rest, as they say, is history. Although anesthetics have long been assumed a part of dental procedures, companies like our partners at Convergent Dental saw room for improvement. 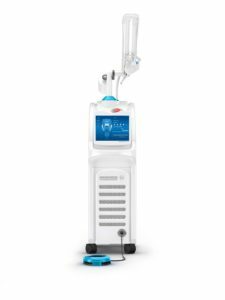 Instead of subjecting patients to needles and discomfort, they created Solea. Solea allows us to perform 95 percent of dental procedures completely anesthesia-free. The result: no numbing or wasted time. You’ll be in and out of the chair faster than ever before.